Are You Suffering with Chronic Joint Pain? Arthritis, what does this word make you think? What images come to your mind when you hear it? Does your mind conjure up images of the older population? To be honest, I used to think it was pretty much something I did not need to worry about for quite a few years. This week, I spent time studying and learning about essential oils for arthritis pain. It turns out, arthritis affects millions of adults worldwide and it is not only limited to the elderly. Do you struggle with arthritis? Do you take pain killers to alleviate the discomfort? Do you ever worry about the side effects your medication has on your body? This may be a concern of yours if you regularly take pain pills. I am not going to get into how bad pain killers can be for you . In fact, I am thankful for modern medication. I always have a bottle of pain killers on hand. I am, however, cognizant of the side effects and try not to take them on a regular basis. Due to the very small number of side effects related to essential oils, they are my first defense when it comes to my general health. If EOs are not working for me then I will seek other options. Essential oils may be an answer for you. Perhaps you would like to use them as an alternative or complimentary treatment to your arthritis pain. You will find a list of oils below that are known to help with discomfort. I will also share a few different delivery methods. ……but first, what EXACTLY is Arthritis? Two common forms of arthritis are osteoarthritis and rheumatoid arthritis. Osteoarthritis is a degenerative joint disease and rheumatoid arthritis is an autoimmune disorder. Peppermint works as an analgesic and an anesthetic. It relaxes muscles and soothes inflammation and pain. The effect of peppermint can be described as numbing and cooling. It is also known to fight headache and nerve pain. Frankincense is an analgesic, anti-inflammatory, a mild sedative and is good for stress relief. Lavender is generally known to improve sleep. It also relieves painful swelling and inflammation, anxiety and depression. Chamomile is known to calm and sooth. It also has anti-inflammatory benefits. Since it is related to ragweed, a patch test may be recommended if you have concerns about allergies. Wintergreen is an analgesic. The main ingredient is methyl salicylate. This is a compound that is closely related to acetylsalicylic acid (aspirin). It is thought that a blend of wintergreen and peppermint for arthritis pain relief is quite beneficial. Ginger has anti-inflammatory, warming and soothing qualities. It is known to be helpful for joints, back aches and muscle pain. Eucalyptus is an analgesic and has anti-inflammatory qualities. It’s great for soothing joints and muscles. Rosemary is an analgesic, an anti-spasmodic and is known to relieve back pain, headaches, muscle and joint pain. Vetiver is known to work well for general aches and pains including rheumatism and arthritis. This list of oils and their qualities is not exhaustive. Each essential oil provides an amazing amount of benefits, more than I have listed here. It is good to remember that many oils help with the secondary symptoms of dealing with chronic pain such as depression and anxiety. Essential oils are generally safe and affordable with very few side effects. They can target specific symptoms and at the same time provide a wide array of benefits for your overall health. Some oils provide additional benefits when you blend them together as well. Sounds great! Let’s look at a few different methods you can use essential oils to help alleviate the pain of arthritis. Mix 10-12 drops of essential oil per ounce of carrier oil (I use Jojoba oil most often, there are many to choose from) and massage into sore joints and muscles. If you like soaking in the bath tub, this may be a relaxing way to alleviate some pain. There are a couple things to consider if you plan to use this method. Please know that essential oils should be diluted with a carrier oil before adding to bath water as EOs do not disperse well in water. A suggested ratio is 3-12 drops of EO in a tablespoon of carrier oil, add to water after tub has filled up and stir water before getting in. Lavender and chamomile are great options to use in the tub as they are less irritating to the skin. Best if diluted first though. Add 5-10 drops of EO to some hot or cold water, soak a wash cloth or hand towel in the water, wring out and place over painful area. Leave on area for 15-20 mins at a time. 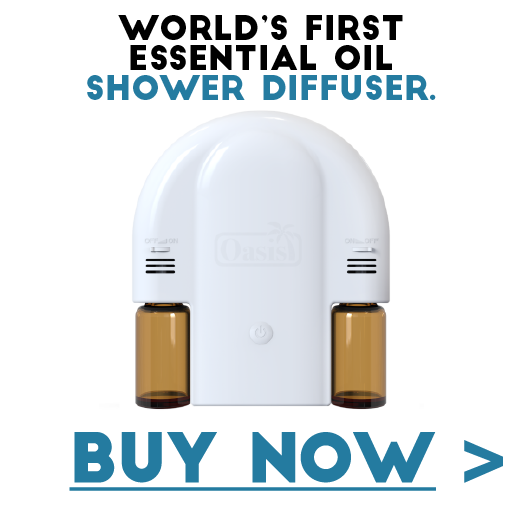 Using a diffuser is an easy method to gain the benefits of essential oils. Ratios of essential oil per amount of water tend to vary. My diffuser has a 100ml water tank. I generally aim for a total of 12 drops. Recommendations vary from 3-15 drops. Living with chronic pain related to arthritis can be very challenging. Essential oils may be the answer for you or a loved one that is suffering on a regular basis. Using essential oils can be helpful, as well as fun, as you experiment with different scents, blends and benefits. With Christmas around the corner, why not give someone you love a selection of oils and a diffuser? I would sure like to hear from you if you have any thoughts about the above information. Any likes and shares of this article would be greatly appreciated. I hope you have a pleasant week ahead. Stay healthy and positive! Until next time…..take good care! I would like to remind you that essential oils are very POTENT and should be used with common sense and caution. Always read the labels. If you are currently taking any prescribed medication it is recommended that you speak to your doctor before using essential oils.It is also good to be aware that some essential oils are photo toxic. Avoid the sun as necessary when using these oils. Hi. I really enjoyed your website. Very informative. There are way more oils out there then I ever knew about. I do use Lavender, not for sleep reasons, but for inflammation. Works great. Thanks for sharing ! Thanks for the comment, it is always good to hear about people’s experiences with oils. I am glad Lavender works on your inflammation. Stop in again sometime. Hi, I have checked out the Essential oil diffuser that you have a link to on Amazon and it is such a great looking diffuser. This could go very well in my home. What would you recommend for a hard day at work to chill and take the stress of the day away? Thanks for stopping in. I would highly recommend starting out with Lavender essential oil. I often diffuse it at the end of a long day! I hope you have a great day! Actually this is exactly the information that I was looking for oils for arthritis pain and when I landed to your website and read this post, it answered all my questions in details. So I’m happy that you decided to write about this topic and share it with people. It’s very useful and can definitely be used as a great source for oils for arthritis pain. Thanks for taking the time to stop by and leave your comment. I sure appreciate your kind words. I am also happy that this information was helpful for you. Arthritis can be such a challenge for people and essential oils are an easy option to try. I look forward to hearing from you again someday. Drop in again. Previous PostPrevious Essential Oils and the Winter Blues – Are You Feeling Down?